By Nancy Farrell on November 3, 2010 Visit Nancy's Website. In honor of this week being Bird Health Awareness week (Nov. 1 – Nov. 7, 2010) we’ll be fixing up our poultry first aid kit and doing a detailed exam of all our birds. To keep up on the health of our birds, we visually check the birds twice daily, looking to make sure everyone is perky and moving around normally; anything different prompts a detailed inspection. We also go through the coop daily, checking droppings, being alert for anything unusual such as runny droppings or odd colors. 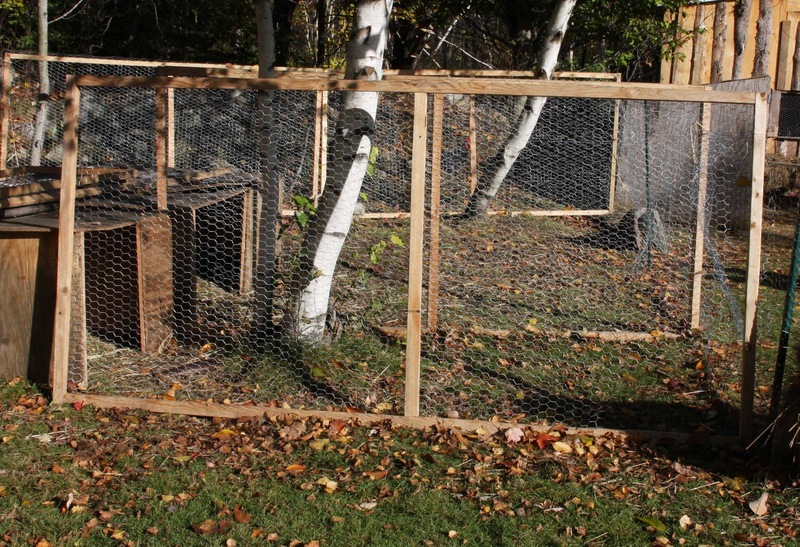 The normal range for chickens is quite extensive, so I like to reference other chicken keepers’ photos to help me evaluate. The Poultry Pages has an excellent photo archive for just this purpose that I’ve relied on quite a bit. I’ve found that examining the waste of any of our farm animals to be a valuable tool to evaluate their health and well-being. A few times a year we do a more detailed check of each of the birds, checking vents, crops and general body condition. This is also a good time to check for external pests and, if needed, to dust the birds. I’d love to be able to record the weight of each bird, but as of yet I haven’t found a suitable scale in my price range. Maybe I’ll add this to my Christmas wish list. To help maintain the health of our birds we limit the number of visitors to our coop and we have set up a wash station outside. This presented a challenge, because we do not have running water at our farm. 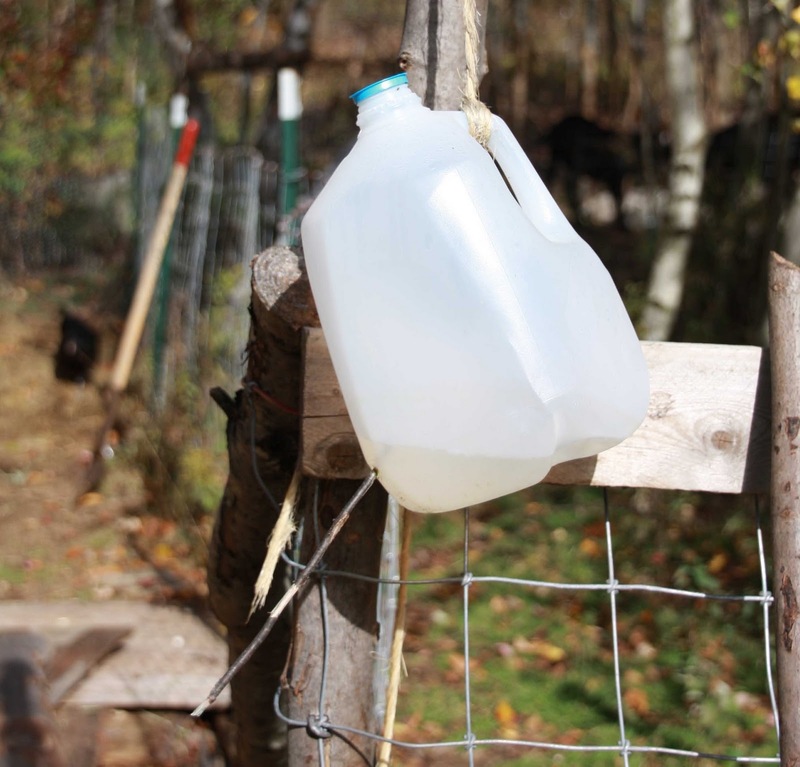 By using some old camping know-how, we made running water with an old plastic gallon milk jug with a hole in the bottom. By placing a stick in the hole it keeps the water in the jug until the stick is removed and a nice water stream comes out for hand washing. For soap we tied some of our homemade goat milk soap in a nylon stocking to the milk jug handle so you can scrub under the water. It’s not fancy, but it keeps our guests clean and helps keep our birds healthy. Our most useful first aid item has been a set of 4-foot-by-8-foot portable fencing panels we made out of 2x2s and chicken wire. These have been great for segregating injured birds, as we’ve had a few pecking order fights get out of hand. We had one bird break his leg, so he had to be separated from the rest of the flock while he healed. These fences were great as we could easily set them up and get him resting comfortably in a short amount of time. We’ve also used these fences for separating some new stock we bought while we observed them for signs of disease before we added them to our larger flock. I’m happy that something so simple and cheap to make has had such a great return on investment. Right now the fences are hanging on our coop walls to stop the birds from eating the insulation we just installed for their winter comfort. Talk about versatility! 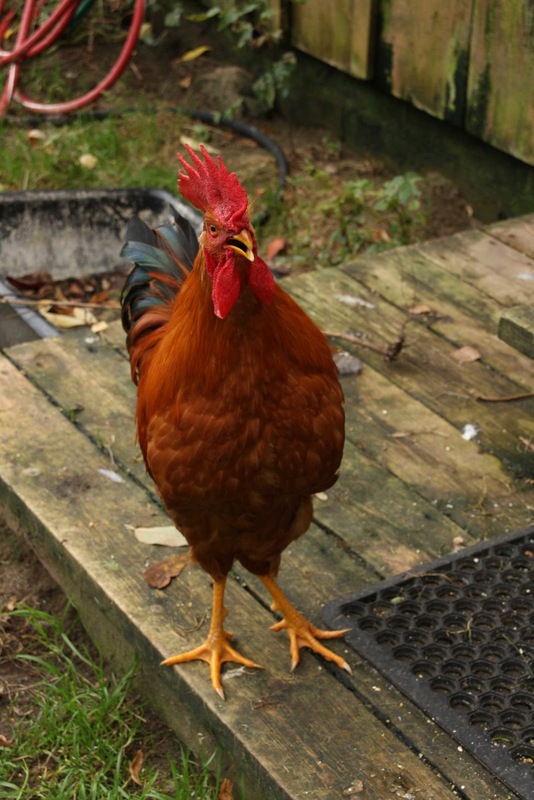 Midge, our rooster who broke his leg. Well, hope you have a great Bird Health Awareness week! We found the digital scale from Harbor Freight worked just fine for weighing the chickens. The scale only measures up to 11 lbs, so it wouldn’t work for large birds. It is battery operated or can plug in depending on your needs. On sale, we paid $19.99. Thank-you for the comments and wish you all the best of luck with your flocks! Great information presented clearly and concisely. Good job! Thanks for the helpful information and suggestions!